Send this Puffin Charters page to a friend! 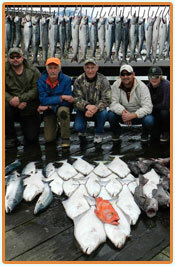 We invite you to join us, the Puffin Fishing Charters crew, for the ultimate Alaska fishing adventure of a lifetime! We design our multi-species trips depending on what species are available during the summer fishing season with Halibut being on the menu throughout the entire season. We do our best to target as many species as possible, but due to time constraints and the availability of certain species, most trips are dual-species. Why go with Puffin Fishing Charters? 1. We know where the fish are. 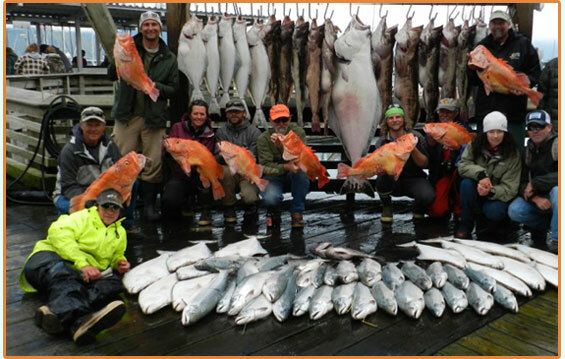 Our crew has been guiding Alaska Salmon and Halibut fishing charters out of Seward, Alaska for more than 25 years. We know where the fish are! With our captains having the combined experience of nearly 50 years, Puffin Fishing Charters is proud to say that we have the best and most experienced captains in the Seward charter fleet. All of our crew members are personable, are incredible fishermen, and have a high regard for seamanship, with safety always a priority. Sound good? 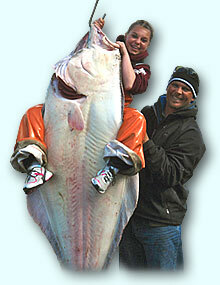 Book your Alaska fishing trip now! 2. Our boats are fast – less time running means more time fishing! Expansive rear decks with the capacity to fish around their entire perimeters, providing plenty of room for everyone. Comfortable, heated cabins feature marine suspension seating throughout, providing a warm, comfortable ride for everyone, not just the captain. Our captains are US Coast Guard-licensed and have First Aid and CPR certifications. Our fully-insured vessels have undergone extensive dockside and on-the-water inspections and safety drills by the U.S. Coast Guard. Cruising speeds of 24 to 26 knots get you to the fishing grounds faster and more comfortably: "less time running means more time fishing!" 3. Our top-of-the-line gear helps you hook your fish more easily and effectively. Our experience and our boats aren’t all that set us apart. Our equipment is top-of-the-line so you can experience the best Alaska fishing experience possible. The heavy tackle we use for bottom-fishing includes Avet and Shimano reels. We spool our reels with 130# XP TUFF-LINE XP. 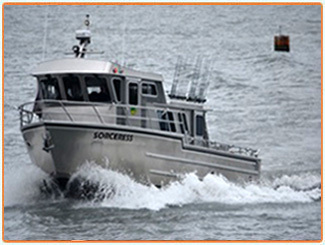 Our reels are mounted on Seeker Alaska Series Ocean Rods. The light tackle we use is Shimano Tekota reels. We use 30# Red Cajun line and mount the reel on medium action Ugly Stix. Our Garmin electronics enable us to put you on the fish and then it's up to you to “Catch 'em up!" Contact us now to book the best dates for your Alaska fishing trip of a lifetime!